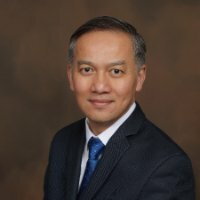 Velan Inc. (TSX: VLN) (the “Company”), a world-leading manufacturer of industrial valves, is pleased to announce the appointment today of Duc Tran as its new Vice-President, Engineering. He will be a key member of the Company’s Senior Management team and is succeeding to Gil Perez, who has assumed a new mandate as Vice-President, Product Technology and Strategic Initiatives. He will report directly to Yves Leduc, President and CEO of Velan Inc.
Duc Tran is a Canadian citizen and has been living in the United States since 1999, pursuing an impressive career in the valve industry. He has held successive senior leadership roles at other global valve companies, where he has gained a deep knowledge and experience in valve engineering and technology commercialization, as well as pressure control products. Founded in Montreal in 1950, Velan Inc. (www.velan.com) is one of the world’s leading manufacturers of industrial valves, with sales of US$331.8 million in its last reported fiscal year. The Company employs over 1,800 people and has manufacturing plants in 9 countries. Velan Inc. is a public company with its shares listed on the Toronto Stock Exchange under the symbol VLN. This news release may include forward-looking statements, which generally contain words like “should”, “believe”, “anticipate”, “plan”, “may”, “will”, “expect”, “intend”, “continue” or “estimate” or the negatives of these terms or variations of them or similar expressions, all of which are subject to risks and uncertainties, which are disclosed in the Company’s filings with the appropriate securities commissions. While these statements are based on management’s assumptions regarding historical trends, current conditions and expected future developments, as well as other factors that it believes are reasonable and appropriate in the circumstances, no forward-looking statement can be guaranteed and actual future results may differ materially from those expressed herein. The Company disclaims any intention or obligation to update or revise any forward-looking statements contained herein whether as a result of new information, future events or otherwise, except as required by the applicable securities laws. The forward-looking statements contained in this news release are expressly qualified by this cautionary statement.